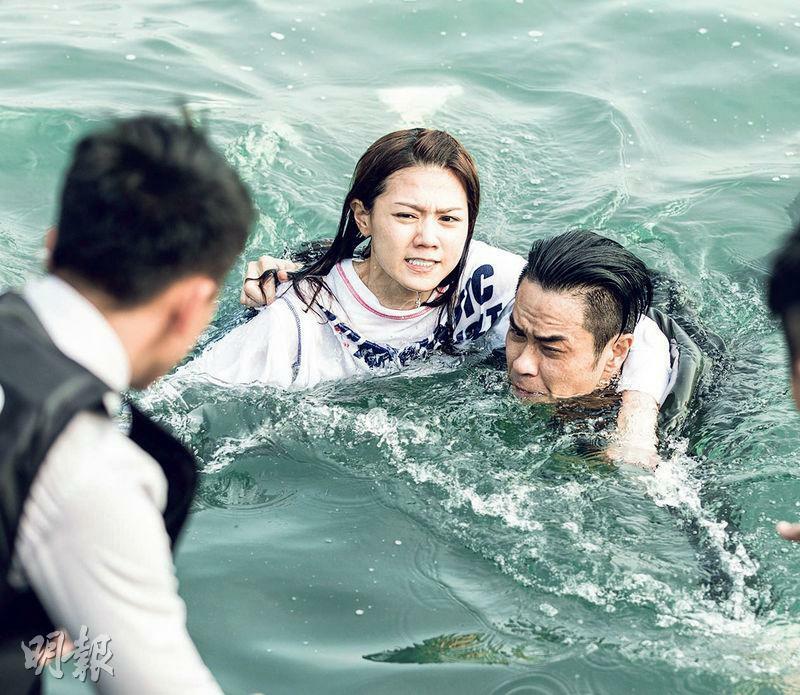 The Kevin Cheng Ka Wing and Raymond Lam Fung worked together again after 14 years, in the film P STORM (P FUNG BO) they fought to the sea and sky for Chrissie Chau Sau Na. P STORM will open on April 4th, in order to bring new surprises to the STORM film series viewers, aside from a richer cast the action designs also had great breakthrough. Among them would be an enormous helicopter fight scene. Aside from shooting in an actual helicopter, the film also invested a million on creating a full scale fiberglass helicopter for the stunts inside the cockpit. This helicopter shoot was only a challenge for the production team but also for Cheng Ka Wing, Lam Fung and Chau Sau Na, because in the film Ka Wing in order to save Chau Sau Na fought with Lam Fung on the helicopter. Lam Fung in order to push him out of the flight even fell into hte sea. Fighting in the narrow cockpit, bruises were inevitable for them. However they were still very professional. Actually this was Ka Wing and Lam Fung's first action scene together. 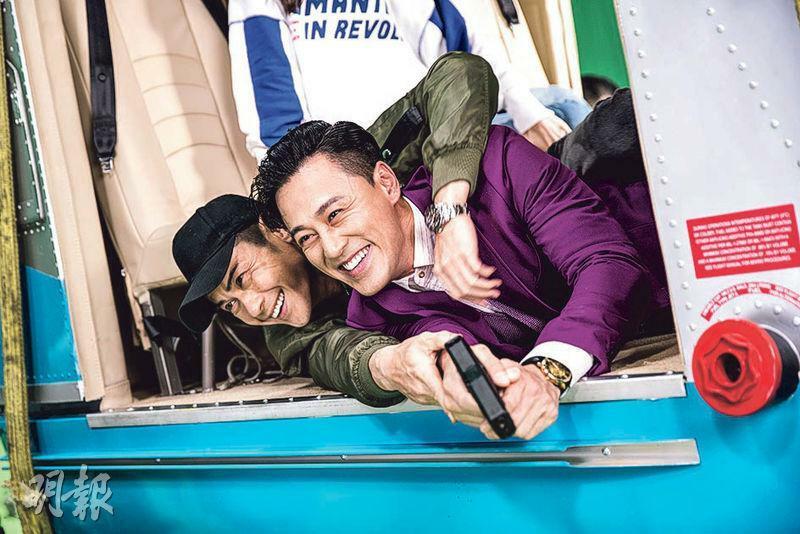 Ka Wing said, "Lam Fung and I have known each other for a long time, but action scene wise we have had zero. This shoot was the first time I had any fight action with him, Ah Fung is rather agile." Lam Fung joked, "This time I have to thank Ka Wing for taking it easy on me, but aside from the fight inside the helicopter many fights took place in the prison too. Almost everyday we were fighting." After the helicopter fight, Ka Wing, Lam Fung and Chau Sau Na finally jumped from the exploding helicopter to the sea. Fortunately the shoot took place in the heat of the summer, the actors this time truly took the shoot to the air and the sea. Chau Sau Na although did not need to participate in the stunt but had a lot of emotional scene. "This time I have more emotional scenes, mainly I fainted in the helicopter, struggled and woke up after the struggle. However I am very grateful for the two men taking care of me. Because the space inside the helicopter was rather tight, I could've easily been hit."